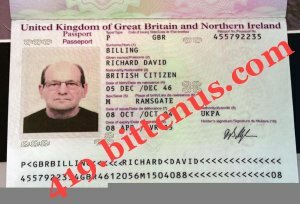 Am Billingham Richard David staff of Swiss Private Bank plc London. Twelve million Five Hundred Thousand Pounds was lodged since 2000 in my bank. Efforts to trace relatives of our client yielded no result as he did not declare any next of kin during lodgement.I want you to stand as next of kin for the fund release. All details will be sent to you upon your response. Four million pounds of the total sum will accrue to you and two million pounds will be given to charity organizations by you.while the remaining 6.5 Million Pounds will be for me. I want to categorically state to you that this is legitimate, Now I need to know more about you. 2.Can you handle these funds? 3.Can I trust you? Trust is very important on this transaction. Please it is very important I know who I am dealing with. This business is hitch free so do not worry about getting into trouble, there is no risk involved at all. I have done my home work, everything can be concluded within two to three banking days, and the bank will have to release the funds to you, I have the file of the Client here with me that we will use to support the claim. We need to move fast. Once I get a positive response from you, I will send you the Application Release Letter and the banks contact details, so that you can send the letter to them by email. So that they can release the funds to us. Thank you very much for your quick response regarding your interest to do this business with me, at this moment I have received all the required details I requested from you, but I would want you to note that we need to keep this deal confidential and do not say it out to anybody for security reasons. I hope and Trust you can handle these funds? 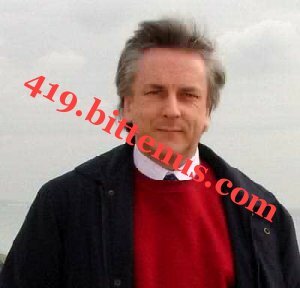 Below is the APPLICATION RELEASE LETTER that you will be sending to the Executive Foreign International Remittance Department of the Bank, as the next of kin to Mr. Gilbert J.C Molland regarding the claims of his funds with them since his death in 2000? Note that The purpose of your contacting the bank is to enable the bank ascertain and recognize you as the sole beneficiary to the funds, this is the most important thing .All the documents and pertinent details that will be required from you by the bank will be given to you as at when due by me, since am an insider and have a copy of the late man’s file with me. Below is the Letter Fill it and send it to the bank. Do please keep me posted with your dealings with the Executive Foreign International Remittance Department of the Bank, thank you. APPLICATION FOR RELEASE OF FUNDS. 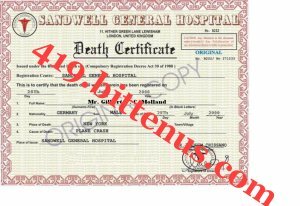 This is to inform you that Mr.Gilbert J.C Mollandis my relative, who died Nine years ago. On checking the various records of my relative, we found out that he maintained an account with your bank with the above a/c # 01514770727. Some of the deceased's records suggest that there was a credit balance of above? 12,500,000.00 (Twelve Million Five Hundred Thousand Pounds) in the account. the above said a/c # 01514770727, and also in other accounts, if any. Please let me know all the information I am required to provide to back up my claim. You may note that these funds are needed to pay off Mr.Gilbert J.C Molland's liabilities, and also to complete some of the unfinished urgent projects started by Mr.Gilbert J.C Mollandin his time, I would request you to please process my claim and release the funds as early as possible. Below are the answers to the questions i hope this will be enough for them do keep me posted with your dealings with them. (5) He was 54 years before he passed away . Those are the answers to the bank questions do send it to them with the picture and the death certificate along side with your identification. have you sent the answers and the document to the bank?please update me.